HODIE (Roman Calendar): ante diem quartum decimum Kalendas Martias. MYTHS and LEGENDS: The art image for today's legend shows Castor and Pollux, and there are more images here. 3-WORD MOTTOES: Today's 3-word verb-less motto is Sibimet merces industria (English: Effort is its own reward). ANIMAL PROVERBS: Today's animal proverb is Qui vult caedere canem, facile invenit fustem (English: He who wants to beat a dog easily finds a stick). POLYDORUS: Today's proverb from Polydorus is: Obsequium amicos, veritas odium parit (English: Fawning begets friends, but truth begets hatred). GREEK PROVERBS: Today's proverb is Ἐις μελίττας ἐκώμασας (English: You have gone bursting in on the bees, which is something like stirring up a hornet). 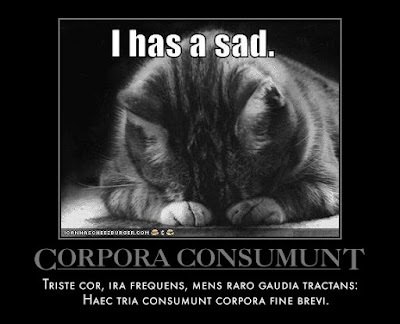 BREVISSIMA: The distich poster for today is Quae Corpora Consumunt. Click here for a full-sized view. 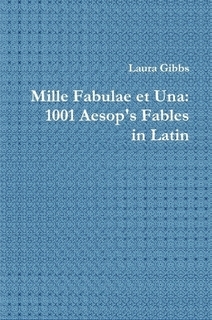 MILLE FABULAE: The English translation for today from the Mille Fabulae et Una book is Leo et Vulpes Territa, a story about how familiarity breeds, not contempt, but contentment. PHAEDRI FABULAE: The illustrated fable from Phaedrus for today is canis et thesaurus et vulturius, a story about greed for money: Latin text and Smart's translation. 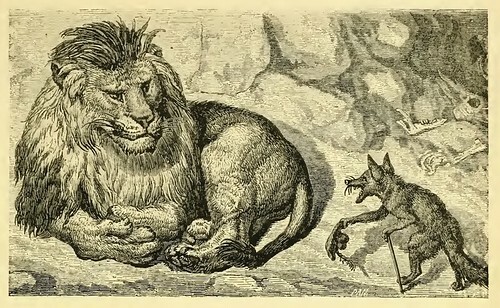 STEINHOWEL: The illustrated fable from Steinhowel for today is de asino et catella , a story about the jealousy: Latin text and English versions.